An estimated 2 million pets are stolen each year and only 10% of these pets are returned to their owners. To protect your pet, it’s important to know what you may not know about pet theft. The two main reasons pets are typically stolen is for monetary gain and for illegal animal fights. 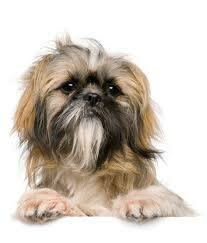 When it is a case of monetary gain, someone may steal a pet to then sell it to a third-party. However, in some cases it is done with the intent of returning the pet to its owner. Thieves wait for an owner to post a reward and then call to report the animal found to collect. This, of course, doesn’t mean everyone that finds a lost or stolen pet is a thief. Good Samaritans do still exist! The second most common reasons pets, especially dogs, are stolen is to use them in illegal animal fights. Some are conditioned to be fighters, while others are sadly and shocking used as bait. While even attending animal fights is a felony in the United States, underground fights still happen. Because of this, it is advisable to be aware of whether or not there have been reports of animal fights in your area. To protect your pet, use common sense: never let your dog wander freely, secure your yard with a type of fencing, never leave your pet unattended, make sure your pet is wearing identification tags, ect. But there are also other ways to keep your dog safe that you might not be at the forefront of your mind. Consider getting your pet microchipped. This is an easy way to identify him if a thief removes his tags. Also, having update date pictures of your pet from different angles may help prove that they pet is in fact yours. Pay special attention and get pictures of any unique markings your pet may have. Finally, some pet insurance plans offer assistance if your pet is lost or stolen and can help you with the cost associated with recovering your pet. While everyone hopes it will never happen, if your pet is lost or has been stolen, check animal rescue centers regularly and be aware of any lost pet websites or hotlines in your area. Great post! My grandmas friend had her yorkie stolen out of her front yard, and she had to pay the crook to get her back!